When a film does well at the box office, the actors, director, and producers get most of the accolades. But film editors also play a major role in a movie’s success or failure. By combing through a film’s raw footage, isolating individual shots from multiple takes, and choosing which frames to keep or delete, film editors weave the storyline into a cohesive final product. (For a taste of just how powerful editing can be, consider the recut of Mary Poppins as a horror film trailer.) We spoke to a few film editors for some secrets of this mysterious but influential trade. 1. THEY CAN INFLUENCE AND EVEN CHANGE A FILM’S SCRIPT. Although the screenwriter and director make the final decision about dialogue, film editors can heavily influence a movie’s script. Emmy-nominated film editor Anita Brandt Burgoyne, who’s currently finishing up editing The Bachelors (starring J.K. Simmons and Julie Delpy), tells mental_floss that “if something in the film rings false, or is confusing the audience in some way, it’s the editor's responsibility to not only shine a light on the problem, but also to offer alternatives that can solve the problem.” To make the story flow better, film editors may cut out confusing lines of dialogue, use different takes of an actor’s performance, rework a scene to change its tone, or even rewrite lines in the script. 2. THEY’RE SWORN TO SECRECY ON BIG MOVIES. Feature films are usually extremely costly. Because the studio and production company have invested millions of dollars into a project, they want to protect their investment and maximize revenue. With big films such as the Harry Potter series and Star Wars: The Force Awakens (2015), studios also want to build audience anticipation and avoid spoilers. Therefore, film editors on big features may be sworn to secrecy about the content of the script. Before starting work, an editor will sign a non-disclosure agreement, promising not to leak the content of the script to the press or the public. 3. YOU MIGHT HEAR THEIR VOICES IN A FILM’S SOUNDTRACK. Besides fulfilling their regular job duties, film editors may get involved in unexpected ways. Because film productions run on tight schedules, an additional voice or double (a hand or an arm) is sometimes needed, and editors are a convenient go-to since they’re nearby. “Sometimes we even perform lines!” Brandt Burgoyne says. When she edited Legally Blonde (2001), she contributed her voice to a classroom scene as well as a scene with a group of angry drivers on the street. 4. THEIR OBJECTIVITY IS INVALUABLE. Just like book or magazine editors, the objectivity that film editors contribute to a project is important. Because a film’s director, writer, and producer spend vast amounts of time and money to make a film, they become very attached. Film editors, by contrast, are more emotionally removed, so they can be ruthless about cutting out unnecessary scenes. Fred Raskin, the film editor on Django Unchained (2012), revealed to Slant Magazine that he left almost two hours of the film’s rough version on his cutting room floor. 5. THEY’RE ALCHEMISTS WHO RELY ON INSTINCT AND FEELING. Stephen Mirrione. Image credit: Getty Images. According to film editor Stephen Mirrione, who edited The Hunger Games (2012) and The Revenant (2015), film editing involves more than simply determining what frames to show. “There is an alchemy in film editing that is difficult to articulate, partly because so few people are even aware of it … As an editor, you are largely molding and shaping the emotional content of a scene and affecting the point of view of the audience,” Mirrione explains to MasteringFilm.com. Michael Kahn, an editor on Saving Private Ryan (1998) and Schindler’s List (1993), echoed Mirrione’s point. “We do a lot of things from feeling, not necessarily from knowledge,” Kahn admitted at an American Cinema Editors seminar. 6. INTROVERTS CAN MAKE THE BEST FILM EDITORS. 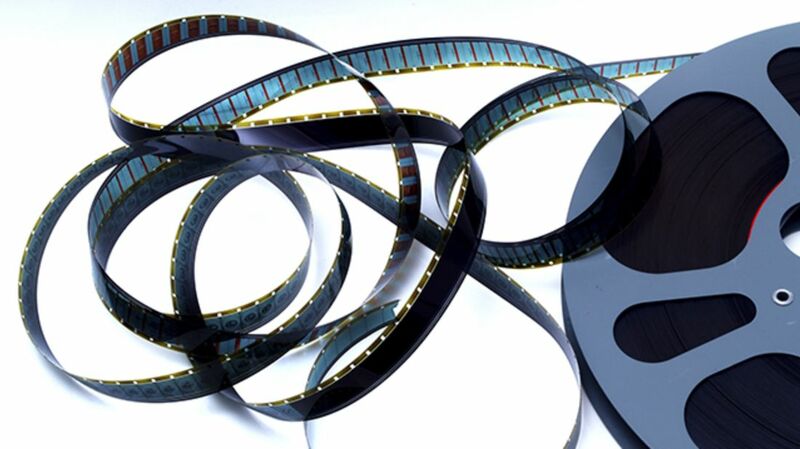 Film editors usually work long hours, viewing hours of footage in dark rooms. Although they do interact with directors and assistant editors, their job is highly solitary. While not all great editors are introverts, the job is best suited to those who don’t mind being alone for long stretches of time. “I do think there are quite a few editors who absolutely prefer the quiet of the editing room to the noise and chaos of a movie set with a hundred people around,” Brandt Burgoyne says. 7. THEY CAN REQUEST THAT THE DIRECTOR FILM ADDITIONAL SHOTS. Although editors on low-budget films may not start work until after production has wrapped, most editors begin working on the first day of production. Editors may even start work before principal photography to discuss editorial decisions such as scene transitions and specific shots. “It's quite important to have the editor on during shooting, because sometimes, there's no way to know if there's a problem until the scene is assembled. The editor can then request a missing piece be shot to make something work,” Brandt Burgoyne says. 8. THEY CAN SPEND A LOT OF ENERGY TRYING TO LINE UP THEIR NEXT JOB. While some film editors work in-house at a production company, others work freelance, taking each job as it comes. Besides having the flexibility and freedom to choose which projects to edit, freelance film editors generally get paid more than their in-house counterparts. But when a project ends, they don’t pack their bags and head to Hawaii for vacation. The process of finding their next job can be stressful because of the uncertainty: They don’t receive any income when they’re waiting for their next project to start. 9. THEY'RE NOT FAZED WHEN THEY GET FIRED. Tom Rolf. Image credit: Getty Images. “I have worked long enough to know he was correct … That's showbiz,” Brandt Burgoyne says. 10. DETAILS ARE EXTREMELY IMPORTANT TO THEM. 11. IF THEIR WORK IS GOOD, IT’S INVISIBLE. Thelma Schoonmaker and Orlando Bloom at the Oscars. Image credit: Getty Images. When audiences watch a well-edited movie, transitions between scenes flow smoothly and naturally. A poorly edited film, though, will be obvious. As Murch tells Variety, citing a line from The Wizard of Oz director Victor Fleming: “Good editing makes the director look good, great editing makes the film look like it wasn’t directed at all." But well-made movies with flashy editing sequences can call attention to a great editor’s work. Thelma Schoonmaker, who edited Goodfellas (1990) and The Wolf of Wall Street (2013), tells Film Comment that she probably won an Oscar for editing The Aviator because of the film’s dramatic plane crash scene. “There’s a great deal of mystery in film editing, and that’s because you’re not supposed to see a lot of it … And because there is so little understanding of what really great editing is, a film that’s flashy, has a lot of quick cuts and explosions, gets particular attention,” said Schoonmaker. 12. DESPITE THEIR JOB, THEY STILL LOVE WATCHING MOVIES. Most editors get into their jobs because of their deep love for movies. Although editing is their life’s work, they can still enjoy watching movies for fun just like any other audience member. “Watching movies as an audience member only reminds me what I love so much about working in the movies myself. To be able to transport people to a totally different place; to immerse them in other people's lives, joys, struggles—that's a pretty powerful gift,” Brandt Burgoyne says.